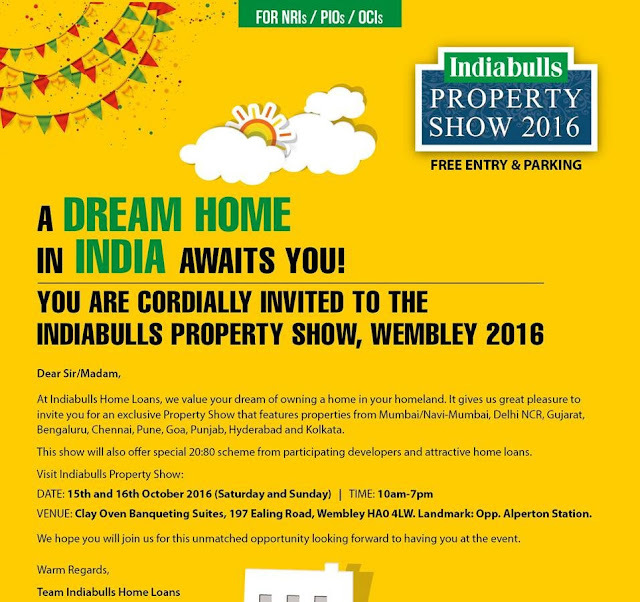 Indiabulls Home Loans London office cordially invites you and family to Indiabulls Property Show 2016 @ Wembley. Meet Godrej Properties, Adani Realty, Radius, Mahindra Lifespaces, Purvankara, Wadhwa, Lodha, Kanakia, Ozone, Vivansaa and many more reputed Developers under one roof. Date: 15th & 16th October (Saturday & Sunday). 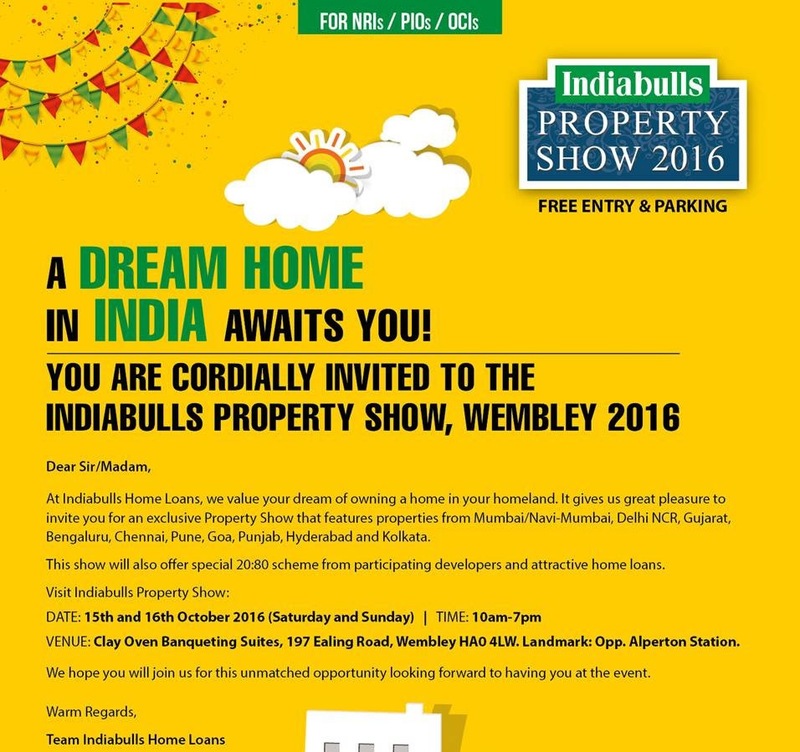 Register at www.Indiabulls.com/London2016 for Property show details and chance to win free tickets to India*. Showcasing range of properties by reputed developers from Mumbai, Delhi NCR, Gujarat, Bengaluru, Chennai, Pune, Goa, Punjab, Hyderabad & Kolkata. 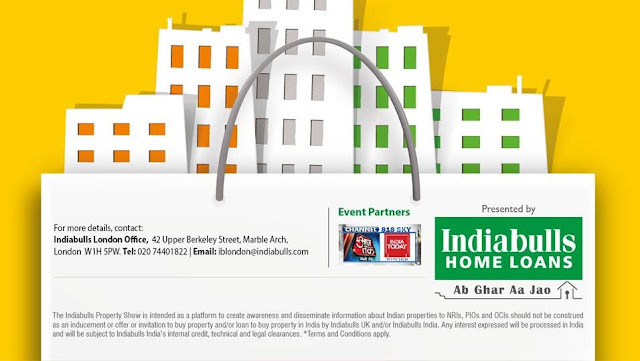 Properties start at INR 20 Lakhs. Special 20:80 schemes from participating Developers.